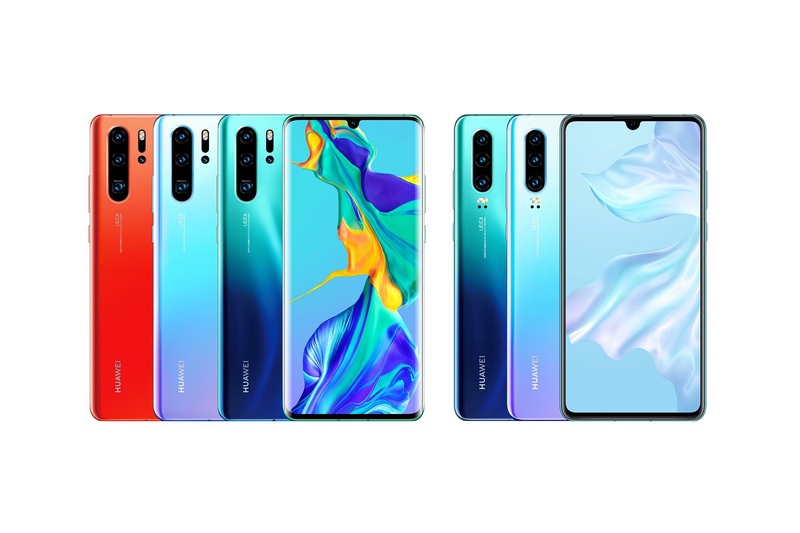 Pre-orders are now live across the Middle East region for the new Huawei P30 Series, and many of them are offering special bundles to incentivise the orders. See if any of your residing countries below have something special for you. All of them are accepting pre-orders until 10 April or earlier, which is a definite confirmation that the device will begin shipping to users from that very date. One year ago, Huawei gave us the P20 Series that was packed with plenty of awesomeness in a slim chassis. How do you make something that powerful even better when you’re at the peak? You explore what else can be improved; Huawei has done just that with the new Huawei P30 series. It’s more just new and improved hardware specs. There’s a radical rethink of the Leica-powered camera system, the new HUAWEI SuperSpectrum Sensor, an optical SuperZoom Lens, and many more discoveries. The first glance at the device clearly shows that some design changes have taken place, while others have been refined. For starters, the so-called notch from the previous model is now a teardrop shape. On the back, the camera arrangement remains unchanged – completely vertical, just like the P20 series. It makes for a good distinction between the P and Mate family. Going back to the front, there’s no longer a button for the Home that doubles up as a fingerprint reader. Building on the on-screen fingerprint from the Mate 20 series, the P30 series includes an improved version that’s even faster. The P30 almost resembles the P20 series, but the P30 Pro display curves along the edges of the device. As a standard for the P30 series, they now use OLED for the display with an FHD+ resolution of 2340×1080 px. One other note, the P30 has a headphone jack but the P30 pro eschews it and a speaker grill. The P30 Pro features HUAWEI Acoustic Display Technology, enabling it to deliver high-quality audio through a sound emitting display. If you’re looking to use it for a full day, they’ve brought their signature SuperCharge combined with a sizeable battery. In addition, you’ll also get to charge other phones and accessories with Wireless Reverse Charge. A new Leica Quad Camera System makes its debut, with improvements that put the spotlight on the improved photography capabilities. This includes a new RYYB Huawei SuperSpectrum Sensor that captures even better low-light photos and improved zoom photography. Huawei’s own R&D must have observed something by deviating from the traditional RGGB Bayer filter, which replacing green pixels with yellow pixels. According to Huawei, this would yield a high maximum ISO rating of 409,600 on the HUAWEI P30 Pro and 204,800 on the HUAWEI P30. Hence, this should deliver extraordinary photography and videography experiences across a wide range of scenarios and lighting conditions – including extremely low light. The SuperZoom Lens uses a periscope design (similar to a submarine), supporting high fidelity magnification. A prism element bends light at a 90-degree angle to maximise the focal length, minimizing the camera’s height without disrupting device design. Unique to the P30 Pro is a HUAWEI ToF (Time of Flight) Camera, which captures depth-of-field information to deliver accurate image segmentation. Data from the ToF camera allows for the simulation of multiple levels of bokeh, as if you took it with a professional DSLR. Beyond the standard videography, the new HUAWEI P30 also includes improvements to studio-grade videography on a smartphone. The very same HUAWEI SuperSpectrum Sensor enables improved low-light video capture night scenes, hence providing bright and highly detailed scenery. Augmented with Huawei’s AIS and OIS support stabilization for all video capture settings, this would result in a perfect and steady shot for those surprise moments. If you ever wondered how you could capture the action using either of the lenses, say hello to HUAWEI Dual-View Video on the new P30 series. This allows users to capture two perspectives of the same scene at the same time by using multiple cameras simultaneously. You’ll get both a full view and a close-up of the scene. Both models are powered by 7nm Kirin 980 processor with Dual-NPU AI processing system, carried over from the Huawei Mate 20 Series. Android 9 will be pre-installed on the P30 series wrapped around EMUI 9.1, and it uses an Extendable Read-Only File System (EROFS) that improves system responsiveness. The latest EMUI 9.1 also supports HUAWEI Share OneHop for seamless file sharing between Huawei smartphones and Huawei laptops. Both the P30 series models will be available in five colours: Breathing Crystal, Amber Sunrise, Aurora, Pearl White, and Black. With regards to the Middle East release date, I thought of asking Huawei themselves and they managed to give the hint easier than expected. We’ll find out soon about the pricing. Hello there, thank you for reaching us. You may kindly stay tuned to our page, all the details about "P30" Series will be announced on 1st April 2019 at (7:00 PM UAE time – 6:00 PM KSA time) at the Event which will be held in Dubai. Have a good day.